Drug addiction education is the foundation of recovery, as it helps addicts understand the effects of drug abuse on their bodies and minds. Being informed can empower an individual when addiction has taken over their life, giving them a new focus and demonstrating to them that their life will be better without drugs and alcohol. 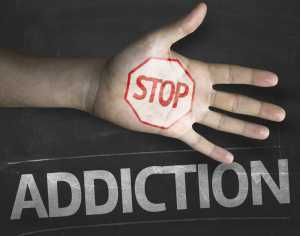 Drug addiction education is often a part of many rehabilitation programs. When someone has been exposed to an environment where illegal drug taking is the norm, they maybe be unaware of the risks involved. Abusers of prescription drugs are in just as much need of information during their recovery. Knowledge is definitely power when addiction takes over, as it can rob someone of their self control, health and happiness. Sustained alcohol or drug abuse puts the body under a tremendous amount of strain, and even after getting clean; people can suffer later in life because of the damage they sustained while suffering from addiction. If someone understands how they have been physically affected by drug addiction, they may be less likely to relapse in the future and more likely to continue living a healthier life. Mental illness is difficult for someone to fully understand when they are suffering deeply from it. After recovery, they may be able to look back at their condition and understand why they felt that way, however. Drug abuse creates certain mental patterns and withdrawal can result in depression and anxiety, so it’s crucial that patients are coached through this by mental health professionals who understand what they’re experiencing. It’s not enough to ignore it; it has to be tackled head on and understood. Addicts commonly don’t know how much they can hurt people around them when they’re in the throes of their drug or alcohol habit. It’s quite common for someone suffering from drug and alcohol problems to steal money or valuables from loved ones to fund their habit, or to reject offers to help. Various forms of therapy and education can help an individual understand how they have impacted on those around them. Understanding leads to empathy, and hopefully improved mental health and happiness. A trigger is anything that provokes a negative response in someone, and encourages them to return to their addictive behavior. Some triggers are easier to avoid than others. For example, a particular date or anniversary is something everyone would have to face, but specific locations could be avoided. As emotions are much harder to control, the former addict needs to be educated to deal with the emotions that trigger them. For example, channeling their anger into a sport rather than substance abuse. These are often the easiest triggers to deal with, but not always. Going to a bar is a bad idea for a recovered alcoholic who feels vulnerable, but effective rehab education could help the individual to feel healthy and controlled enough to go to a bar with a group of friends and feel comfortable not drinking. Social triggers are linked to people and the contact the individual has with them. Some people will inevitably be harmful and triggering, especially if they suffer from the same addiction and are continuing to use.